Founded in 1961, McWade Productions has grown alongside the Electrical Transmission Industry in Southern Africa and is, today, a leading supplier of electrical components and accessory equipment to the African and international Electric Power Transmission and Distribution Industry. Design and consulting services to plan and recommend the most suitable equipment, connections and installation procedures to meet customer requirements. McWade has been assessed and certified as meeting the requirements of ISO 9001:2015. See our certificate here. McWade is a Level 2 Contributor to South Africa’s B-BBEE code of practice. See our certificate here. 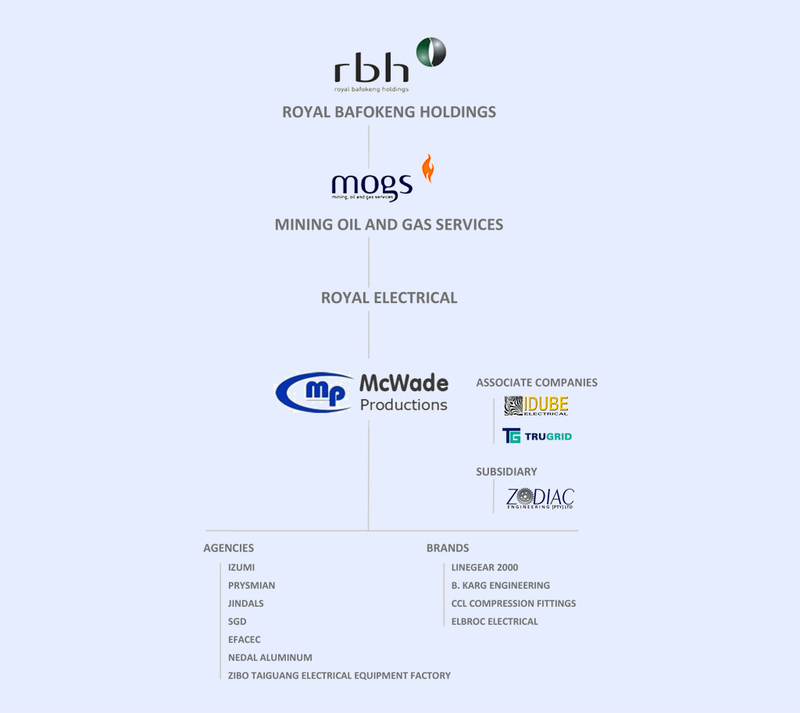 McWade is part of the Royal Bafokeng Group. Royal Bafokeng Holdings (RBH) is a community-based investment company whose growth uplifts and creates intergenerational wealth for the Royal Bafokeng Nation (RBN), a 100,000 strong Setswana-speaking community in South Africa’s North West province. We fall under the Mining, Oil and Gas Services subsidiary.